Flamboyant architecture is one of the hallmarks of the park. 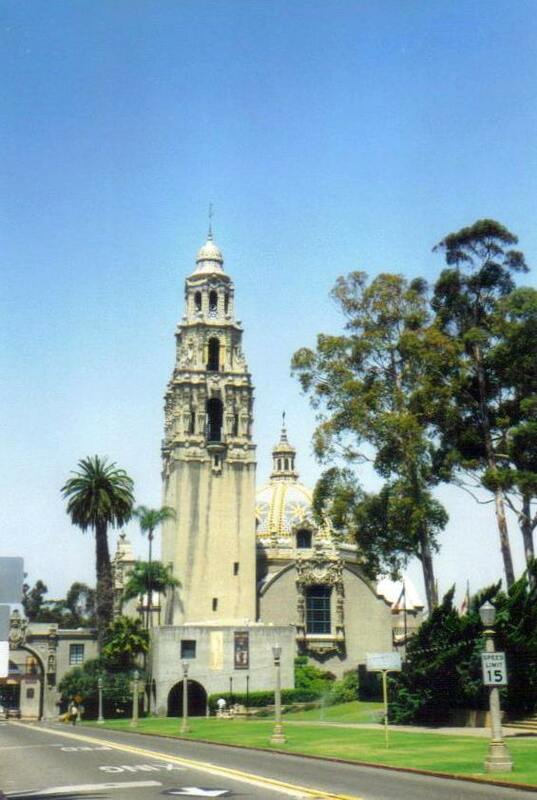 One of the best urban parks in the world, Balboa Park beckons you on every day of your vacation to San Diego. By the numbers, it racks up an impressive list: 17 museums, nine performing arts venues, 19 gardens, 13 recreational opportunities, a dozen restaurants, 65 miles of trails, three dog parks, and nine random attractions. Given the city’s penchant for sun and comfortable temperatures, you’ll be able to enjoy all of those attractions year-round. I started my first of several days here with a morning visit to the most popular — the San Diego Zoo, one of the first zoos in the world to pioneer the revolutionary idea of releasing animals from their cages into re-created natural habitats, one of just four zoos in the United States taking care of giant pandas, and home to some very adorable giraffes. From there, the choices seemed endless. 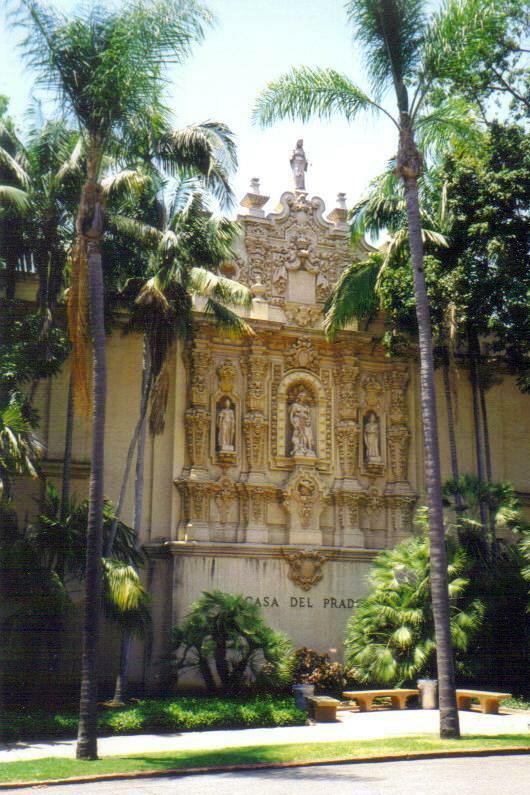 But one of my favorite things to do was to stroll down El Prado, a pedestrian walkway flanked by a plethora of museums, all of which are housed in buildings that were constructed in the flamboyant Spanish Colonial Revival style. Erected for the Panama-California Exposition of 1915–16, these buildings provide plenty of architectural eye candy: the Casa del Prado Theater, with an entrance framed by elaborate Churrigueresque ornamentation; the Casa de Balboa, with its confectionery top and graceful columned arcade; and the California Building, with its blue and gold dome (encircled with the Latin for “A land of wheat, and barley, and vines, and fig-trees, and pomegranates; a land of olive oil, and honey.”) and soaring bell tower, which plays the Westminster Chimes every 15 minutes. The carillon provides a musical interlude four times per hour. I checked out the exhibits in the Museum of Photographic Arts and the San Diego Natural History Museum, but I was eager to spend more time outside, so I put off the Timken Museum of Art, the Model Railroad Museum, and the Museum of Man for another visit. On a glorious spring day, the park’s water features provide brilliantly blue oases. The Bea Evenson Fountain mists the air around you, and the long Lily Pond, leading up to the Botanical Building, one of the largest lath structures in the world, is a particularly peaceful place to enjoy snacks and sunshine. Flowers and diverse plants burst into colorful life in different gardens devoted to particular plants or environments: roses, cacti, palms, Australia, and California among them. I wrapped up my visit here in the serenity of the 12-acre Japanese Friendship Garden, complete with a koi pond, plots of azaleas and camellias, and a little workshop that provides free leaflets on how to create origami. While folding crisp paper into a duck and a hat, I was treated to a musical bravura, provided by the talents hands and feet of someone next door playing the Spreckels Organ, the world’s largest outdoor organ that has been entertaining audiences since New Year’s Eve 1914.